The bags are colourful and beautifully crafted. It’s hard to believe that these bags have been made from recycled plastic bags that have come from a rubbish dump in Harare, Zimbabwe and that no dyes have been used. Peta Searle, a local woman is selling these bags at a Saturday flea market in Harare on behalf of the Zee bag project. Searle is involved in the project and explains how the bags are made. The plastic bags are purchased in big sacks from people living at the dump who sort the rubbish. The bags are then washed and laid out to dry. The women from the project then choose the colours and design for their bags and cut the plastic bags into strips. The strips are then knotted together and rolled up like a big ball of string. The women then have their raw materials, which they use to crochet into bags. 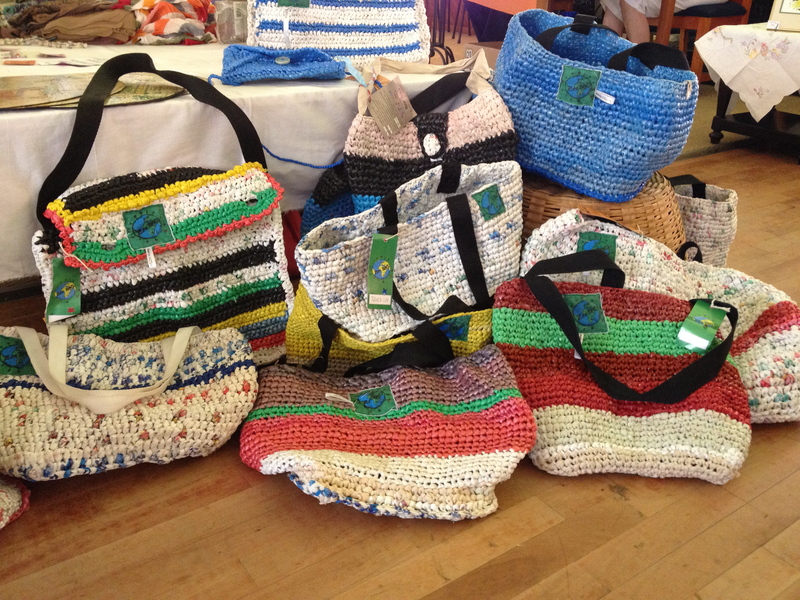 Each bag uses 40-60 plastic bags and takes two days to make. The bags are sold for between $10 and $20 for which the women receive 50 per cent of the takings. Zee bags from Peta Searle on Vimeo. Thirteen women currently work for the Zee project, an income-generating project to support women living with HIV. The women must have at least 2 children they are caring for and only have the financial means to survive on one meal a day. 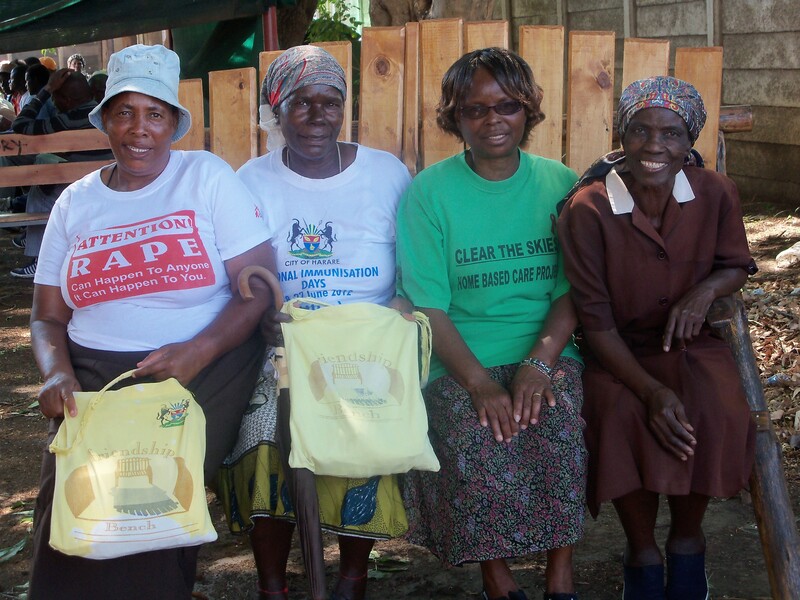 All these women have previously been supported by the Friendship Bench, a project set up 6 years ago in Mbare, a high-density suburb of Harare. At that time, there were high rates of undiagnosed mental health problems in the community, which impacted on people’s ability to live with HIV, TB and diabetes. The Friendship Bench employs lay workers, all local women to deliver personal support, often based on problem solving techniques to people with mental health problems within the community.The project to date has helped over 5000 people and the income generating Zee bag project aims to help vulnerable women financially support themselves.